What the heck are you? Are you a writer? Speaker? Coach, Author, Educator, or Entertainer? What the heck are you? I spent the last 24 hours with a sense of sadness as I allowed myself to reminisce through the past. Did I say something wrong? Maybe I am too much? What am I? Who am I? What if I can’t make it? What if? Why? Maybe I am not good enough? NEXT…I woke up this morning allowing the same questions to pound through my head like a bull in a china shop! WHAT AM I DOING? You see I was focusing on what had already been done. Finally, I found my manuscript from a coaching session of an elementary student! In the very beginning, I taught her how to find and use a ‘Happy Word’. Then I explained that as long as she was focusing on what she CAN CHANGE and not the past, everything would be fine. For example: She had failed a spelling test and was extremely upset with herself for not studying. I redirected her attention to the fact that the only thing she can change is the next spelling test. Unless of course the teacher would let her re-take the last exam. Day after day we would discuss why she was sad or angry. Each time it was something she had already done and couldn’t take back. Do you do this? I do! If I allow myself to become engrossed in the past. I become sick to my stomach, don’t eat, and wallow in self pitty. But the truth is you or myself, cannot redo yesterday, we can only improve today. My answer to all the questions are YES! I am a writer, speaker, coach, published author, educator, entertainer and…much more. Just like you, I must feel down on occasion to enjoy the up moments. If you are feeling sad, depressed, frustrated or angry today…allow your brain to feel the emotions long enough to remind you, this is NOT THE WAY YOU WANT TO FEEL! Now, take your smile back. Find your many titles and wear them with pride. I know it isn’t always easy to let go of the past. Or to forgive those who irritated you. However, I promise if you will hold on…one more minute…find a happy thought and reset your vibration. Ask one friend to remind you of something you have done GOOD! Last time I checked no one is perfect. I know I am not, but our imperfections mold us and allow our talents to be illuminated! YOU ARE WONDERFUL JUST THE WAY YOU ARE! YOU HAVE GIFTS TO SHARE WITH THE WORLD! YOU ARE WORTHY OF BEING LOVED! YOU ARE WORTHY OF BEING HAPPY. FEEL HOW AWESOME YOU ALREADY ARE AND KEEP ON ADDING TITLES TO YOUR LIFE WITH PRIDE. This entry was posted in anxiety, children, depression, Energy, Fear, guilt, Jimmy Falon, Life (Happy) Coaching, Love, Not perfect, Suicide, Toastmasters and tagged amazing, awesome, behappy, feelbetter, feelgood, future, livelove, Love, past, present, reboot, reset, share, titles, youare on June 12, 2018 by teenadrake. Of course I woke up at 4:30 in the morning, on the farm. However, this time I do not have to roll out of bed and start the Turkey. So I rolled over, tossed and turned for over an hour, finally slipped out of bed. The sun was peeking up over the hill creating a sparkly blanket of frost across the land. As almost if old man Frost wanted to freeze time, even if for just a moment, to allow those of us up, to observe in amazement, his works. Normally, when ‘back on the farm’ I am rushing around, barking orders, freaked out because something needs to be done, but this year I am not. Instead, I am enjoying the dancing moments where past meets the present and future is so boldly introducing herself! (In a good way). I relish in the memories of laughters, tears, excitement and all other emotions attached to every crack, bump, or splashed syrup on the ceiling stains, still not fixed from previous years. As I reflect back I remember all the funny events of Thanksgivings. Once we moved to the river Eric knew when Baw Baw couldn’t, I would! We have had family gatherings from Thanksgiving, Christmas, all the way to hey, its finally Spring, let’s have a get together. I remember one year, I counted 50 people and other than my farm family, there were maybe three other relatives, the rest were our adopted family members. (Which we tried counting the other day, how many of those we have. It made us laugh and get all sentimental because the number was too difficult to solidify. We would become so wrapped up in naming someone and then attaching a fun or funny story, that the list continues to grow). Sorry, Eric tells me all the time I get off on tagents, that was one of them. Today, Thanksgiving Day 2017 is a bit different. The kids were all busy, Eric & I just arrived and have been in paradise for so long we struggled with returning to 21 degrees. So I am so excited that I get to go celebrate with one of my favorite little girls!!! My niece Lucy! Although change isn’t always easy, it is inevitable. As for me I choose to embrace the changes, make the most of the new opportunities, revel over the past, enjoy the now…this moment. Maybe you are like me and you are sitting on your front porch, wrapped up in something similar to a cacoon, listening to the Crows call, and you want to be sad for a moment due to the ‘change’ in traditions. However, I ask you to tilt your head from one side and then the other, close your eyes…hold them shut for one extra moment. Now open them and wait for your eyes to refocus. What do you see? A different perspective. Don’t worry about ‘creating’ a new Tradition, that can sometimes create more anxiety than good, but rather enjoy right now! Whether you are with one person or several, maybe you are alone, it doesn’t matter search to feel good, this moment, feel terrific. Then expect another terrific moment and another and before you can blink your eyes, this day will be another memory! Hopefully even better than you expected. If someone forgets to tell you today: ” YOU! Are AWESOME, WORTHY, LOVABLE and AMAZING! This entry was posted in entertainment, family, friends, Happiness, Home, Love, memories, Thanksgiving, Uncategorized and tagged anxiety, awesome, behappy, enjoy, family, friends, perspective, Thanksgiving on November 23, 2017 by teenadrake. Shutup, I am tired of hearing it! Do you ever get tired of hearing that small nasty voice in your head? You know the one that reminds you of all your past situations or your paradigm? If you wake up with thoughts that are not uplifting, exciting, good for you and emcouraging, GO BACK TO BED AND FIND THEM. Similar to this Seal, who is sun bathing. It appears he is dead, but instead he is taking a break without a care in the world! I realize life is busy and you are probably in a rush however, if you will take the first few minutes of everyday to tell yourself nice and inspiring words you will be surprised how amazing life can and will be. Throw up a red light and STOP! (Listen up, I know saying stuff to yourself may feel awkward at first, but just think, the more you practice the better you will be at it). Stop! Stop, doubting the power of your words. They do hurt you and although your subconscious is only trying to protect you from past events, coming back and repeating the pain, let it GOOOOOO!!! Did you know, until we conquer time travel, you nor anyone else can repeat an exact event or correct anything in the past? However, you can enjoy the now, enjoy yourself, love yourself and share the love you found in you, with others. We can create a brighter world together! We can enjoy the now! Begin with you, tell your subconscious to shutup and begin right now, by saying one nice thing to yourself! You deserve it! 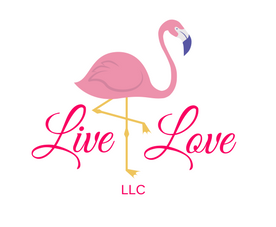 Don’t forget to sign up for December 8th Madison Indiana for more techniques to Livelove & Carryon! This entry was posted in adventure, anxiety, depression, Energy, Fear, guilt, Happiness, Hate, Love, meditate and tagged awesome, behappy, breathe, depression, despair, devastation, dowhatyourlove, emotions, enough, Fear, live, livelove on November 11, 2017 by teenadrake. What is coming up? Our first Happy Class, ‘Live’ on December 8th, beginning at 7 ending? Whenever you get tired of celebrating life with us or I wear out on you. Either or it is going to be well worth your time and money! Where? Fountain Building on the corner of Main Street and Broadway, (across the street from The Historical Broadway Restaurant and Hotel, huge pale yellow building). Why? Are you feeling like there is something better than this? Maybe as winter sets in, you have become a little depressed. Is it more money? Maybe you need to know how to earn more money and quit that awful pay check to pay check, J.O.B. and do what you love! Maybe you want to find ‘love’ and you need some new techniques on how to attract that special someone. What we CAN NOT DO! change, fix, help, bring a new, or bring back the PAST!! In any shape or form I nor can our company or anyone else, bring back or change the past, so if that is what you are looking for well move on!!! What we CAN DO!! Assist you in creating the life you have always wanted to live. Take F.E.A.R. out of your life equation (for the majority of the time). Allow you to ask questions and receive answers to the best of our ability about what you, your needs and or desires are. Assist you in handling ‘stressful’ unwanted, hurtful situations throughout your life. This is not promising everyday full of butterflies and lollipops, but it is promising the majority of your life being filled with BRIGHT, BEAUTIFUL, BUTTERFLIES and LOLLIPOPS!!!!! Okay, I am going into overload. Therefore, I am going to stop! However, I don’t think, if you are in Carrolton, Milton, Henry, Oldham, Owen, Franklin, Jefferson Co. Kentucky or Jefferson Co., Madison, Vevay, Clarksville, Indiana OKAY! wherever you are from you won’t want to miss December 8th, 2017 in Madison Indiana!!!! At 7 PM. Only because this is a trial run and IF YOU decide to be a part of this first celebration, you will receive a multitude of benefits and a few gifts to take home with you. However, you must hurry to register because this is limited seating. We have a few seats left and due to our pricing being the lowest price it will ever be, you need to act fast! 1. Email- Livelove.teena@gmail.com and say I need two reservations for December 8th. 2. http://www.livelovellc.org/home click on Celebrations. (If you have trouble with the purchase portion let me know. 5. Any questions email us we will get back to you asap. I realized after re-reading this I forgot to include the low price for this amazing opportunity. It is only twenty five dollars and/or forty per couple! But!!!! If you book between now, November 8th thru the 14th, you can purchase the class for 20.00 dollars! What? Yes, one time only and I PROMISE, it will not be at this price ever again. Why? Did I drop the price for 7 days? Truthfully, it is because I am on vacation in paradise and I am feeling super sentimental. You see eleven months ago today, my life changed forever! And since then my mission is to help others find their own paradise and if Hawaii is only a dream for you. I want to help make that a reality! I want to share with you techniques that I have learned to have, do or be anything you desire. If a dream vacation is what you want, we will discuss how. If you have a desire and you are struggling with anything, we can help find your block, let it go and assist you in: Livelove & Carryon!!! This entry was posted in adventure, anxiety, communication, depression, Education, entertainment, family, Fear, friends, God is good, grief, guilt, Happiness, healing, law of attraction, Like Begets Like, Love, meditate, Not perfect, Relationships, Suicide and tagged action, anxiety, awesome, behappy, believe, blessed, breathe, livelove, Love, www.Livelovllc.org on November 8, 2017 by teenadrake.